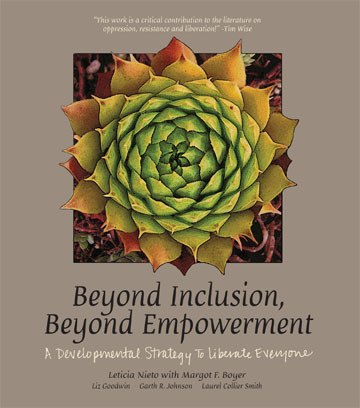 Beyond Inclusion, Beyond Empowerment, by Leticia Nieto Psy.D., and co-authors, brings a long-awaited breakthrough to the fields of liberation and cultural studies. Nieto offers a powerful analysis of the psychological dynamics of oppression and privilege, and shows readers how to develop the skills that can promote social justice for themselves and those around them. A key metaphor in Beyond Inclusion, Beyond Empowerment is the rank system. It can be used to analyze hidden and unconscious influences of oppression on people’s behavior. Resisting oppression requires that everyone – both those who benefit and those who are restricted by these social arrangements – become more aware in everyday interactions. 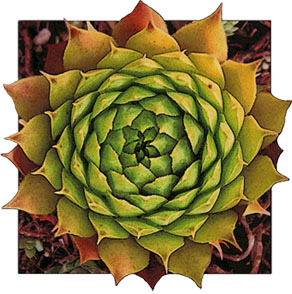 This consciousness develops through a series of specific skills that can be identified and encouraged in oneself and in others. A unique feature of Nieto’s approach is the practical nature of the skills model, which allows anyone to identify what skills they are using and expand their range. This framework is of special interest to educators, therapists, organizational leaders, activists, and anyone who wants to live in a more equitable society. The book provides exercises and tools to help people learn to see and name specific skills in films, fiction, and their own lives. It also uncovers the ways that the rank system shapes our inner lives, influencing our relationships, feelings, and perceptions. This flexible model admits the ambiguities and challenges of real life. More down to earth than academic theory, the book includes personal stories from people of diverse backgrounds, as well as exercises, visualizations, and poetry. Beyond Inclusion, Beyond Empowerment reflects insights from its roots in developmental psychology, theater, and liberatory pedagogy. A preview of several key concepts from Beyond Inclusion, Beyond Empowerment can be found by reading this series of articles on Understanding Oppression by Leticia Nieto & Margot Boyer. These “Ask Leticia” articles were first published in Colors NW Magazine. Dr. Nieto, 2005 Outstanding Faculty of the Year at St. Martin’s University in Lacey, Washington, has drawn upon her work as a psychotherapist and trainer of counselors, psychodrama facilitator, artist, and performer since 1981 to create this humane understanding of liberation. She holds a Psy.D. in clinical psychology as well as a B.A. in theatre and psychology, and an M.A. in human development. The book developed through a collaboration over the past decade among Garth Johnson, Liz Goodwin , Margot Boyer, and Laurel Collier Smith.